Good Morning + Hägersten - Newly renovated conference hotel in south Stockholm - Affordable! Welcome to Good Morning + Hägersten, located just outside Stockholm city. On a short metro ride you are in the middle of the capital with all the entertainment options for your feet. You are also close to the area around Globen and Stockholm Stock Exchange in Älvsjö. 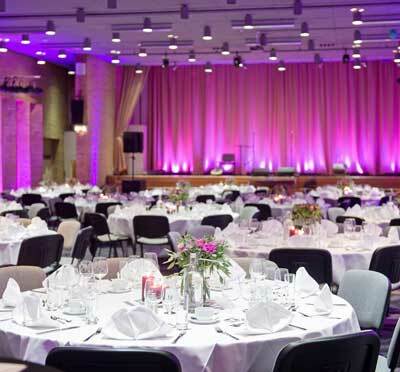 With us, you not only get a good location but also a newly renovated hotel with ten meeting rooms in light Scandinavian style, perfect for small and medium sized groups up to 100 people. Our conference staff will accommodate your wishes and tailor the meeting to suit your company. Good Morning + Hägersten is suitable for all kinds of conferences; from kick-off, team building and training, to wine tasting and private parties. On Good Morning + Hägersten you will find over 200 newly renovated and comfortable hotel rooms with tasteful design. All rooms have free Wi-Fi, flat-screen TVs, work desks with desks and armchairs. After the conference you crawl down in a comfy bed, bedded with lovely duvets, soft pillows and missing cotton sheets. On Good Morning + Hägersten you can choose to stay in privileged rooms that are larger rooms, equipped with a comfortable armchair, espresso machine, kettle, bathrobe and slippers, etc. Then you can also keep the room until 16:00. You who like good food and drink have found the right place for your conference. The restaurant and bar has a modern French touch in terms of menu and decor, and here you will find a wide range of quality wines on glass. In the summer we open the doors to our nice outdoor seating where you can enjoy BBQ and lukewarm winds. If you want to charge the batteries, the gym "Flex" is a staircase with a wide range of classes, spinning room, exercise equipment and sauna - included when you are our guest. The hotel is easily accessible by car because it is close to the E4 and has free parking. The subway is just a short walk away so you can easily reach Stockholm. Have you been to Good Morning+ Hägersten and want to give your own comments?